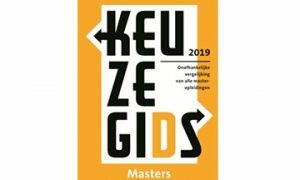 According to the Keuzegids Masters 2019, Maastricht University is the best university in the Netherlands, a shared position with the Rijksuniversiteit Groningen. At FASoS, two programmes have been labelled Top Programmes: the research masters European Studies (ES) and Cultures of Arts, Sciences and Technology (CAST). See the full results on the website of the ‘Keuzegids’ (only available in Dutch). Furthermore FASoS is the place to go to for European Studies: in that category we hold place 1, 2 en 3 with respectively the Researchmaster European Studies, MA European Studies and MA ESST. The Independent Keuzegids Masters assesses and compares the quality of master’s programmes and helps students in choosing further education. The Keuzegids’ judgement is based on the opinions of students (‘Nationale Studenten Enquête’) and on judgments of the NVAO, the national inspection body for higher education.